Please enjoy and explore many of our full length presentations on key topics. Send us a message with any questions, comments or recommendations. This video provides an introduction to the features of The Literacy Bug website (https://www.theliteracybug.com). We are dedicated to sharing information that can foster effective literacy teaching and learning practices across the lifespan. Please explore and enjoy! This video is a presentation that explores the changing nature of literacy across the various stages of literacy development. In so doing, we discuss how instruction must change as learners consolidate core skills and prepare for new skills and expectations. Teaching routines for the various stages of literacy development are also discussed. Please explore and enjoy! Presentation slides are available for download at http://bit.ly/2-Teaching-Routines-Stages. Also available on YouTube at https://youtu.be/D7vUhqVXLWg. This video is a presentation that summarises a range of resources that can help teachers better plan and monitor for effective literacy teaching and learning. We encourage visitor to download the presentation slides and resources at http://bit.ly/2-Planning-Monitoring-Resources. Also available on YouTube at https://youtu.be/R71j5_kegzk. This video is a presentation that outlines the key elements involved in learning to “master the alphabetic code”, such as phonemic awareness, phonemic knowledge, letter-sound correspondence, orthographic patterns, morphological patterns and automatic word recognition and construction skills. It emphasises the need for teachers to develop scaffolded activities that provide learners with the skills to succeed. Presentation slides are available for download at http://bit.ly/Mastering-the-Code. Also available on YouTube at https://youtu.be/dA4nt3rxTYM. 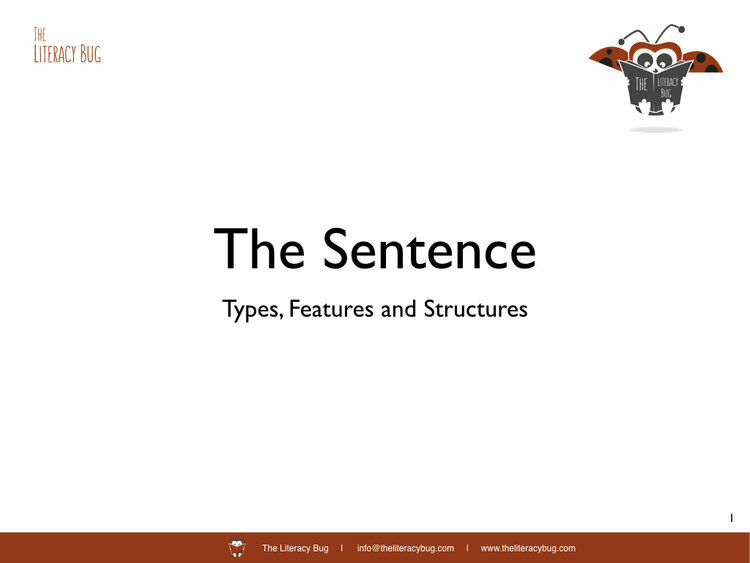 We are pleased to share "The Sentence: Features, Types and Structures" and the slides for the presentation are available from http://bit.ly/2-The-Sentence. The topic - grammar - may not spark excitement in the general audience, yet it is something of a secret passion at The Literacy Bug. Please enjoy and explore.